The first link makes the loading progress bar to show up but never finish. The second link displays the image instead of downloading it. No downloads seem to happen. The files should download to the device. Saving images to Camera Roll is obvious and possible. Anything non-media (like zips) is also possible but not as straightforward. You can't "save" the file in a generally accessible place like on Android - media is an exception. Non-media can only stay in the app sandbox. So other iOS browsers generally do show a selection of sharing options, basically the same as when clicking "Share" in the main ABB menu. But there needs to be a visual feedback about the downloaded file. 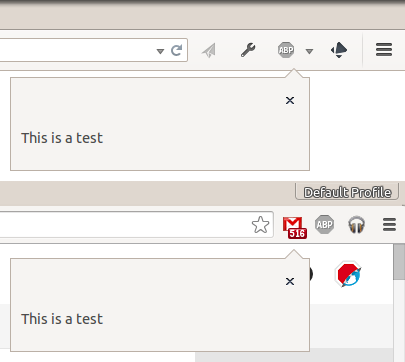 See other browsers for inspiration about how ABB should behave. For now, show that file cannot be downloaded (not supported) like Safari does. Please confirm this as an official requirement. I know we have talked about it at length, but it contradicts the current Expected behaviour. And Trac is the new authoritative source of requirements. The second link displays the image instead of downloading it. No downloads seem to happen. this is normal behavior. If the content is directly displayable by the browser, like an image or supported video format, it gets displayed directly. Download is reachable only through long-tapping. This applies to Safari as well as any 3rd party browser. Please clarify the required behavior. This hasn't been set ready, as the issue needs to be revised completely. As discussed in Slack, #3160 can be tackled first, which only addresses image downloads. File downloads in general need to be revised. So, yes, handling file-downloads is a requirement - but we'll need to update this very issue to fit our needs and the app's design before it can be set ready.